Confining photons in a finite volume is highly pursued in modern photonic devices. This has led to the discovery of photonic crystals, also known as engineered photonic bandgap materials that prohibit the propagation of electromagnetic waves in all directions due to the photonic bandgaps. After photonic crystals with photonic bandgaps were theoretically proposed as an electromagnetic analog of semiconductor crystals with electronic bandgaps in the late 1980s, the pursuit of a realistic complete 3D photonic bandgap with high photon-confining capability has become one of the major driving force to advance the whole field of the photonic crystal. Recently, inspired by the discovery of exotic quantum states known as topological insulators (TIs) in the condensed-matter physics, the emerging field of topological photonics has revolutionized the traditional views on light propagation and manipulation, opening an avenue towards the discovery of fundamentally new states of light and pos­sible revolutionary applications. Potential practical applications of topological photonics include robust photonic circuitry that allows light to flow around large imperfections without back-reflection, robust optical delay lines, topological lasers, as so forth. However, all experimental realizations of classical analogues of TIs have thus far been limited to two-dimensional (2D). There is a fundamental difference between 2D and 3D TIs. In these 2D topological systems, they exhibit one-dimesional topologically-protected edge states and the photonic confinement in the third (out-of-plane) direction is achieved by non-topological means such as index guiding and parallel plate waveguide. The 3D TIs are qualitatively different; while being insulating in the 3D bulk, they exhibit two-dimensional surface conductance via topological surface states that behave as 2D massless Dirac quasiparticles in a graphene. A full 3D topological photonic bandgap has never before been achieved. Experimental sample of the 3D photonic topological insulator. In this work, we extend the concept of photonic TI from 2D to 3D and report the first realization experimental of 3D photonic TIs featuring an extremely wide 3D topological photonic bandgap. Our approach involves using split-ring resonators (a class of classic electromagnetic artificial atoms, or “meta-atoms”) with strong magneto-electric coupling. Using direct near-field imaging measurements, we map out both the gapped bulk bandstructure and the Dirac-like dispersion of the surface states along an internal domain wall. We show explicitly that the surface states have the predicted form of a Dirac cone, which is the key of a 3D photonic TI. We also image the robust propagtion of the surface states along a sharply bent surface, confirming the topological protection of the 3D photonic TI. Our work extends the family of 3D TIs from fermions to bosons and paves the way for many unprecedented opportunities in photonics applications such as topological photonic cavities, circuits, and lasers in previously inaccessible 3D geometry. This work will not only advance the current knowledge on topological photonics but also enrich the 3D TIs physics. 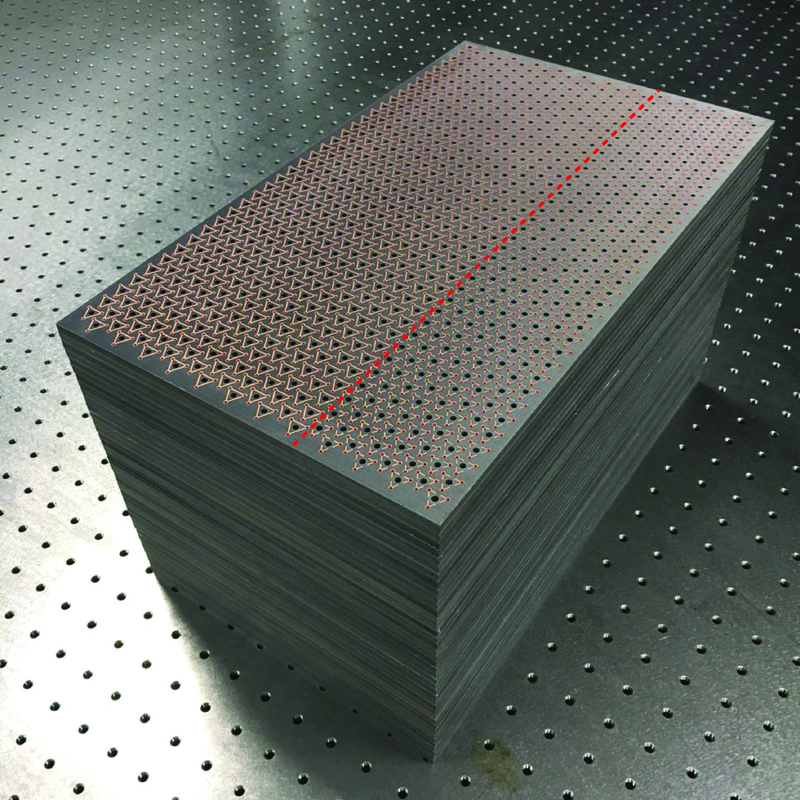 Although our study focuses on photonic crystal, it may extend to other bosonic systems, such as phononic (acoustic/mechanical) structures and cold-atom systems, and thereby offers unprecedented possibilities for controlling waves in 3D geometries.